Dr. Deborah S Jacobs, MD is a Doctor primarily located in Lexington, MA, with other offices in Boston, MA and Needham Heights, MA . She has 32 years of experience. Her specialties include Ophthalmology. She speaks English. The overall average patient rating of Dr. Deborah S Jacobs is Excellent. Dr. Deborah S Jacobs has been rated by 3 patients. From those 3 patients 1 of those left a comment along with their rating. The overall rating for Dr. Deborah S Jacobs is 5.0 of 5.0 stars. Dr. Jacobs earned her undergraduate A.B. degree from Harvard and Radcliffe Colleges. She earned her Masters of Science degree in physiological sciences from Oxford University in England, and then returned home to complete her medical degree at Harvard Medical School. Dr. Jacobs performed her residency and her cornea and external disease fellowship at Mass Eye and Ear. She has joined the Cornea Service as a part-time member and is an Assistant Clinical Professor of Ophthalmology at Harvard Medical School. Her main clinical interests include application of the Boston Scleral Lens. 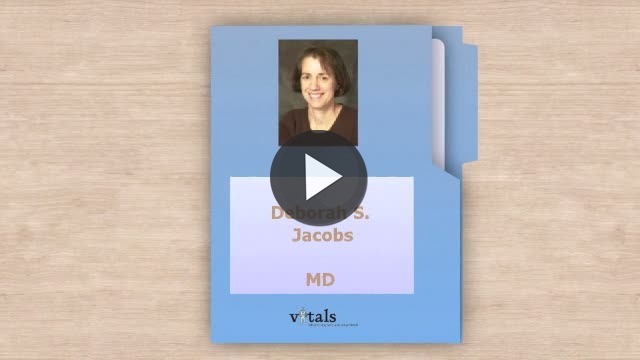 Take a minute to learn about Dr. Deborah S Jacobs, MD - Ophthalmology in Lexington, MA, in this video.